Join us to experience a combination of trekking, gastronomy and local culture at the National Park of Northern Karpathos and Saria Island. After settling into your rooms, the remaining hours will be available for taking our first guided tour inside the village of Diafani. In the afternoon we will visit the Information Center of the Management Agency of North Karpathos and Saria island. one of the healthiest populations of monk seals in the Aegean Sea. To learn the history and observe the traditional architecture. We will continue walking in the surrounding area meeting the local flora and fauna for first time. Later, we will start our first activity preparing the most traditional meal “makarounes” and after that we will enjoy our lunch. In the afternoon, we will return back to Diafani village. In the morning, we will arrive in Avlona settlement by bus and will have our first hike to the ancient city Vrykous. Center of civilization during the ancient times, Vrykous city was destroyed by the pirates but thankfully many historical monuments have survived including the surrounding walls of the castle and tombs complexes were carved into a rock face. An important part of the visit will be the underground cave of the ancient church of Saint John the Baptist, where every year until today survives one of the most known and biggest celebration of the island takes place. In a region between Olympos and Diafani village, we visit a bee hive and learn how to collect honey! Later, we will continue with trekking to Avlona settlement observing the flora and fauna. Return to Diafani village by foot. 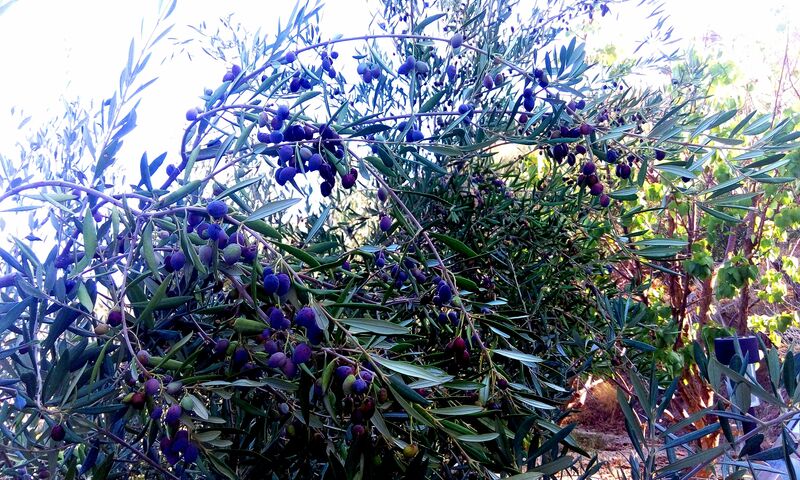 In the morning we will go out in the fields in order learn the traditional way to gather olives. During the day we will eat local snacks and late in the afternoon we will go to Olympos village for a special dinner! Visiting an Olive Press, observing the olives we collected the day before turning into olive oil! We will taste fresh olive oil with oven baked bread and other delicacies! The last day of our program will be dedicated to the others villages of Karpathos. If we have time before your flights we will have a guided tour to Mesohori, Othos and Aperi villages until we drop you off to the airport. These hiking tours serve as an example and may be altered depending on weather conditions. Also the duration of the programme is flexible and may be altered in 3, 10 and 15 days depending on the participants’ preferences.